I decided to put the Sony A7S and Atomos Shogun to use shooting some of the snow over Christmas. Shot in Derbyshire (North of England) in 4K with family and at Chatsworth House. Music by singer-songwriter Anne Haight of Berlin! Could do with being a lot smaller! Although Atomos have done a great thing to bring us this technology for $2k, I’m starting to realise why the Canon 1D C cost £12,000 when it was released. They priced it based on the image and build quality. Is the A7S & Shogun combo giving me a better image than that Hollywood workhorse? No sadly not. The same robustness? Same simplicity? No it isn’t. What it is doing, is giving me an image that is in the ballpark from a consumer camera not a pro one, and that’s very commendable but there’s an elephant in the room. The 1D C used value is plummeting under £5k and in some cases under £4k, that camera is starting to make a hell of a lot more sense. Atomos have also done an absolutely great job on the touch screen user interface for Shogun. They have also worked closely with Sony to get the A7S compatibility spot on, even 25p over HDMI. I also love that the screen is such a high quality IPS panel with great viewing angles. All the more a waste when you can’t see it under the sun though, so it needs a hood. Unfortunately the hood isn’t out yet though. It really should have come with it. The HDMI port on the Shogun is full sized and feels very solid. In terms of the codec the Shogun is a clear winner. ProRes LT is space saving and hardly loses you any quality compared to HQ (overkill) and 422 (middle setting). Both my 1D C MJPEG 4K and NX1 footage needs transcoding to ProRes just to be editable and fluid to playback at full resolution. 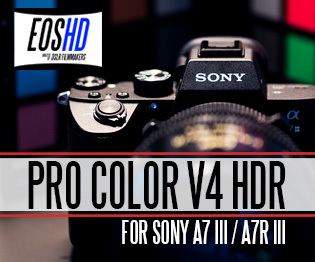 With the A7S & Shogun you don’t need to transcode at all. Until common hardware & software can edit the 1D C and NX1 footage natively, this is definitely something to consider. Whilst compatibility with the A7S is spot on aside from issues with S-LOG 2 which I’ll come to in a moment, the other cameras currently fare less well. The GH4 currently lacks a start / stop trigger over HDMI. It will be added in the next firmware update from Panasonic. I cannot tell the 8bit 4K and 10bit 4K apart even after heavy grading. A bit disappointing. The Samsung NX1 locks up the camera when outputting 4K HDMI to the Shogun aside from shutter, aperture and ISO. I can’t enter the menus but more of a problem is that I have to pull out the cable to change white balance. Nice job Samsung!! Currently the NX1 won’t output any 4K frame rate other than the least useful, 30p so there’s a lot of work to be done here. They are working with Atomos but they need to hurry up as this should really have been done before the camera was released not whilst it is in the hands of customers. I am hoping the GH4 will get V-LOG along with the record trigger as well. 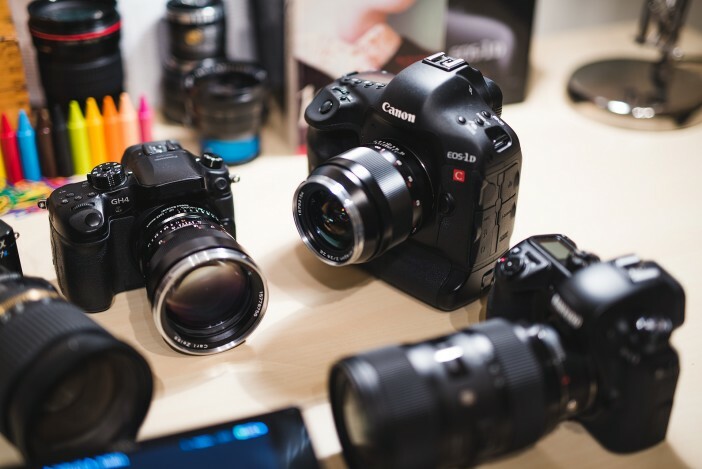 The GH4 is the most usable and fully featured of the three for video but it doesn’t have the best image because of the smaller sensor. The internal codec is excellent on the GH4 for 4K and editable straight off the card, so you might have to ask yourself whether the Shogun is worth the additional rigging and expense. Same with the NX1, the internal 4K looks fantastic as well however to the Shogun you do get a much finer noise grain at ISO 1600 and above which makes it more usable in low-light. The NX1 also gives me very appealing rec 709 colour on the Shogun (and internally too) very much like a Canon C300, so it’s a good option if you don’t plan to do very much grading. The A7S gives a really rough image in standard rec 709 so I highly recommend shooting Cine 4 or S-LOG 2 where it improves a lot but you need to be an expert colourist to get it to look nice. Even after a lot of effort I’m still getting clipped blues in bright blue light sources and very dodgy purple reds with the A7S that I don’t get on either my GH4, NX1 or 1D C internally. Colour seems ‘thinner’ than the 1D C’s LOG 4K too and information in the shadows is missing. I think it needs a firmware update because I don’t remember my shadows in SLOG 2 being the same way with the internal codec in 1080p. In fact the A7S shows some serious colour errors compared to the 1D C with Canon LOG. It’s enough to change overall picture quality and feel. You can see in the demonstrations below where the problem is. It might be that the S-LOG 2 profile is too aggressive for 8bit? I don’t know… Shadow detail seems to be a lot more compressed, muddy and noisy, which really surprised me. The 1D C has a wider dynamic range in Canon LOG and produces cleaner silkier blacks like Blackmagic raw. 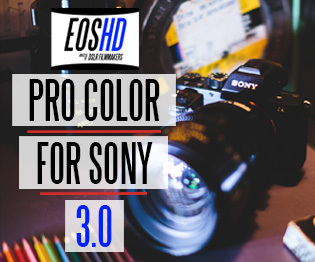 It can also go to ISO 400 and still shoot optimal dynamic range whereas the A7S has to be kept at 3200 or above leading to practicality issues on a shoot around NDs and exposure. The 1D C reminds me of the BMCC raw and ProRes the way it holds onto tons of information in the shadows and there’s a LOT of colour information in those 500Mbit 422 MJPEG files. I don’t know why but the A7S just isn’t as good in this respect, there seems to be a lack of colour data. Additionally the A7S 4K under artificial light seems to have a tinted veil over colour no matter what the settings in-camera are. Whites seem contaminated. I’ve tried adjusting the image with custom white balance, custom picture profiles, etc… but I just cannot get those pristine whites at the same time as warm saturated reds, browns & oranges I get with the NX1 with absolutely no fuss. If you’re not a colourist the NX1 is going to save you a bundle of time, aside from those potentially lengthy (but unmanned) transcoding sessions! 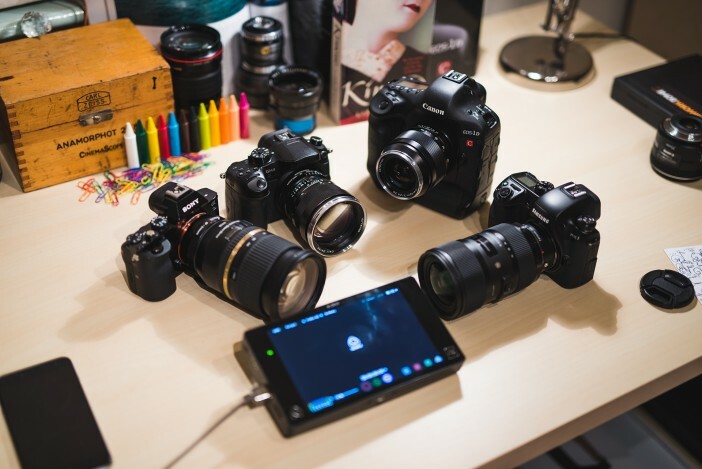 The NX1 in fact doesn’t have any real magenta shifts, green bias, yellow casts, or anything off balance. It’s the closest to Canon C300 colour which feels “alive” that you will get for the price. However for internal 4K and a flat profile, with maximum D/R the 1D C is another level up. And so it should be for the price (even used). 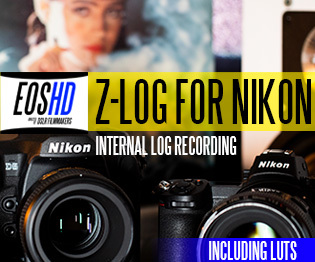 This is evident just by looking at the LOG from each camera. 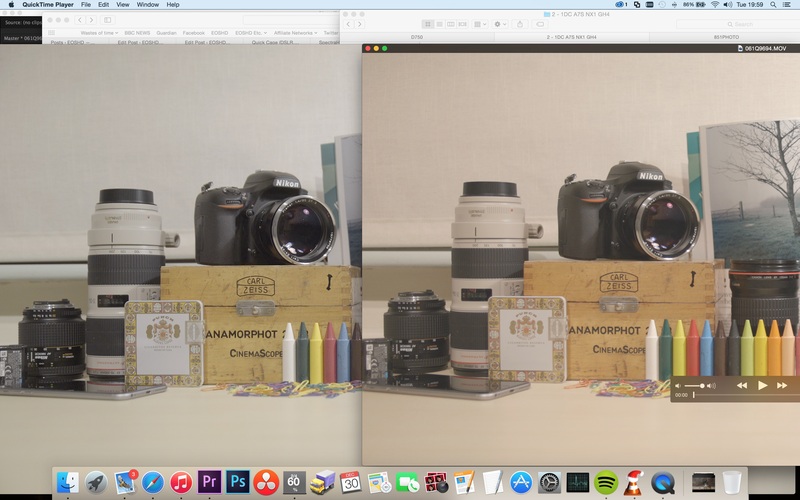 A7S on the left, 1D C on the right. 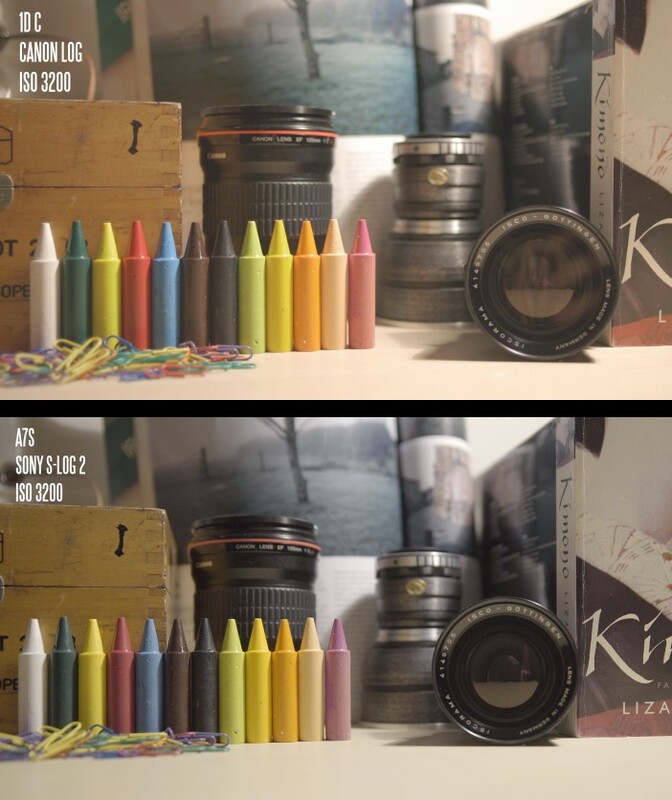 It’s not a white balance setting, the A7S S-LOG really is that washed out in the red channel and starts from a level of less accurate colour from which to grade. The natural warm hue of the room lighting looks dead in the Sony shot. Does it come down to which camera has the strongest colour science and LOG profile? The NX1’s lack of a flat profile limits how much you can pull the image around in post. The GH4’s CineLike D profile is the worst (as explained rather well here by Joseph Moore) and really should be replaced with a proper LOG profile. 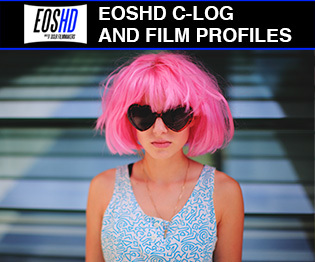 Many users including myself have been asking for a proper LOG profile on the GH4 since the moment we heard about the camera and it’s taken them way too long to do it! S-LOG 2 on the A7S has issues currently solved in S-LOG 3 on the FS7 so should also get a firmware update. You get a LOT with the Shogun and a very nice case (although it’s massive) however what would really improve the user’s experience happen to be the two things missing, namely a suitable set of HDMI cables and a decent hot-shoe mount. The most simple way to use the Shogun is to mount it in the hot-shoe on the A7S but I’ve yet to find a hot-shoe mount that’s any good, they all seem ill-fitting in the A7S hot-shoe and wobbly. When screwed tight they still risk loosening up in the mount. The new Atomos coiled HDMI cables have to be bought separately. That’s going to leave a lot of people experimenting and using unsuitable cables before they finally arrive at the right ones. Some don’t fit the cable protector on the A7S for instance. Mounting the Shogun in the A7S hot-shoe, the first problem you find is that the balance is poor. Tiny camera, huge screen needing as big a battery as possible and so really top heavy. With the small Sony NP supplied with the Shogun I can barely get 45 minutes out of it. My conclusion is bare bones with the screen in the hot-shoe is not the way to rig the Shogun for handheld work. Really you can only comfortably use it if you rig it up professionally. This means rails, V-lock battery, base plate, cage, top handle and shoulder mount. I like the A7S because it’s small and simple and don’t really want go down this route. Then you need some kind of lens stabilisation and the Canon IS lenses are great for this. 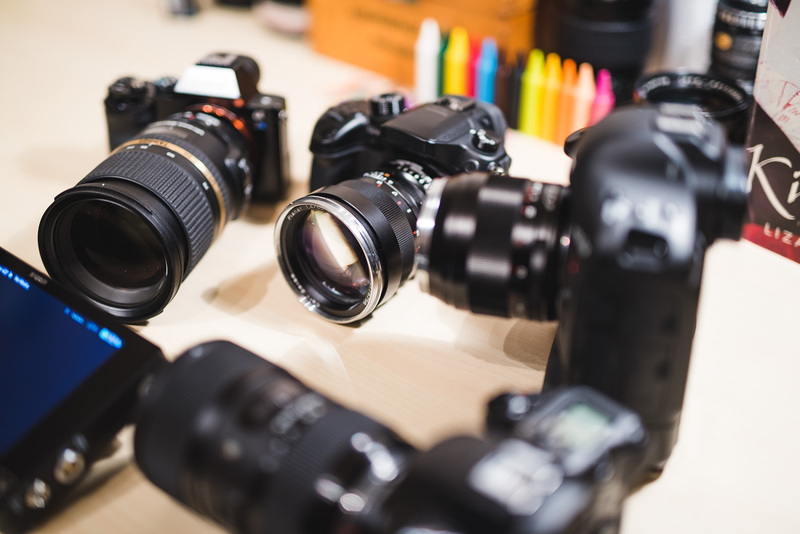 In particular the Tamron 24-70mm F2.8 and Canon 70-200mm F2.8 IS worked well and those are the lenses I used to shoot the video above with. I’m still though getting regular buggy behaviour from my Metabones Smart EF adapter. The electronics on this thing are driving me nuts. I’ve updated it to the latest hardware, latest firmware, still over a year down the line it doesn’t work properly with many of my lenses. The Tamron 24-70mm F2.8 kept switching off stabilisation randomly and aperture control would sometimes do weird things like a 10 second lag or just snap wide open then back down. The 70-200mm’s IS would jump around too frequently and sometimes neither lens would register the aperture with the camera at all. I cannot be fiddling with pulling the lens on and off the mount to get it to work in the middle of a take can I? Granted none of this is the fault of the Shogun but with the A7S you kind of rely on all these ‘bits’ to get a complete setup. Sony need to really get serious about making this stuff work with their camera 110% because they are actively supporting this gear now. The temptation for me is to just sod the whole thing and use the 1D C.
The Atomos Shogun is stronger indoors on a tripod. You can see the screen! You can dispense with the shoulder mount and v-lock battery. You can run it for ages off the mains. Makes for a nice studio camera. Outdoors in the sun and handheld it’s not what I’d use. 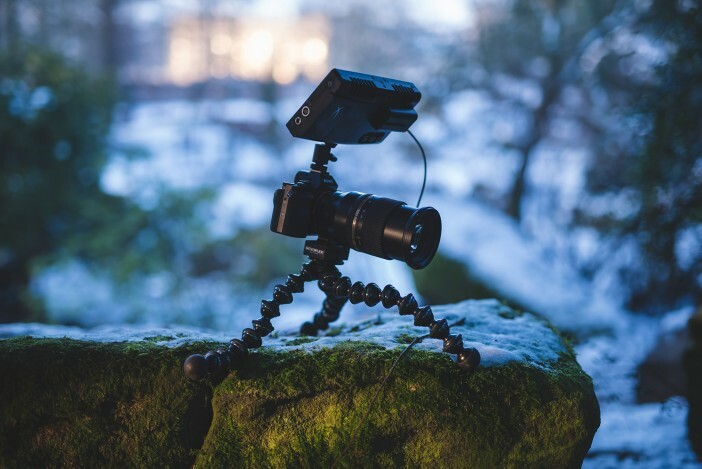 In the snow the A7S’s tiny LCD was 10x more legible so I ended up just using the Shogun just as a recorder which was quite frustrating – having this gorgeous screen on top of the camera and having to squint at the A7S LCD instead. I think Atomos need to look at airtight anti-glare coated panels for the Shogun 2. Build quality is not up to their previous efforts and it runs very hot. The screen feels delicate and easy to scratch whilst the SSD / battery don’t connect very convincingly to the unit. One person I know was cleaning his and the embossed Shogun lettering just wiped clean off, which doesn’t inspire confidence if you’re going to take it into the rough and tumble of a pro shoot the very next day. Casing is a low grade plastic, feels cheap and the supplied charger doesn’t fit my larger Sony NP batteries so I ended up back with my FS100 charger. The supplied USB 3.0 SSD reader ran erratically and slowly with my Kingston HyperX 480GB to Macbook Pro Retina so I ended up getting a different reader from Amazon. The Shogun caddy prevented this standard reader from fitting, so now I have to remove the caddy with 4 screws before I can access the SSD on my Mac. I don’t have any of this hassle with internal 4K recording on my NX1, 1D C or GH4 so again it feels rather frustrating at the moment to be having to do these workarounds. I’m learning as I go when it comes to the feel of the images and how it compares to the 1D C, GH4 and NX1 in 4K. So far the A7S 4K image to the Shogun has impressed but it isn’t as good as the 1D C. I think it’s great for enthusiasts and low-budget filmmakers who want to max out image quality on the A7S. But for me the shortcomings are significant. If you can get a 1D C for less than $2000 more than the Shogun & A7S together cost you (don’t forget to add batteries, media and any rigging) then think it through. 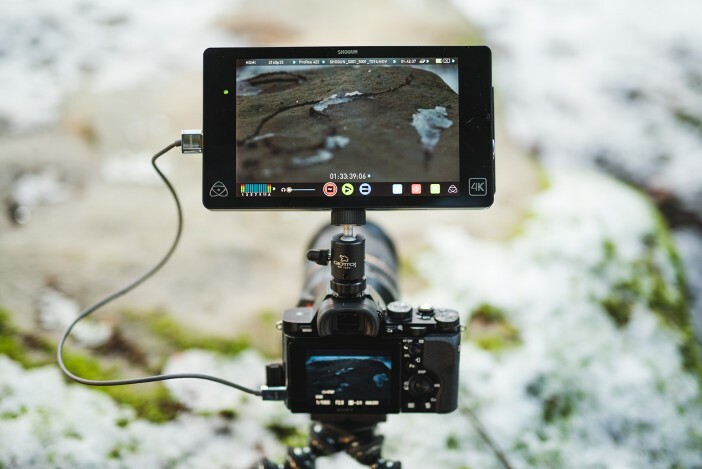 If Atomos can improve battery life, sort out the ergonomics as part of a lightweight rig (cables should exit rear, screen should be smaller, etc. ), improve daylight visibility (a lot) including build quality (a lot) then the Shogun 2 will be a real winner. I’d also love to see a tiny Ninja Star doing 4K for ages on a small battery! If the GoPro and LX100 can do it surely the electronics are there now? 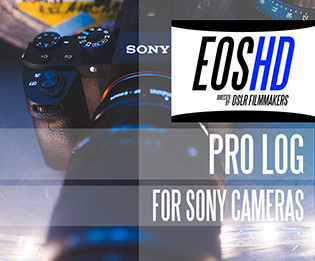 Sony should make some changes too, colour performance in S-LOG 2 needs to improve and compatibility with the Metabones adapter – perhaps they should be helping them out a bit more. Fundamentals like reliability and battery life are essential. This isn’t my final article on the Shogun. 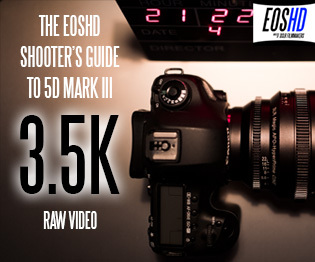 The final scores and 4K Shootout are coming in Part 2 of the review! Stay tuned!